Like the arrival of a robin in spring, the season of rosé wine is upon us. And no sooner had my desire for a glass of the rosy stuff blossomed on my palate, a generous mixed half-case of Roxanich wines arrived at my doorstep, courtesy of Blue Danube Wine Co. (www.BlueDanubeWine.com), a California-based importer of Croatian wines who is considering adding Roxanich wines to its U.S. portfolio. 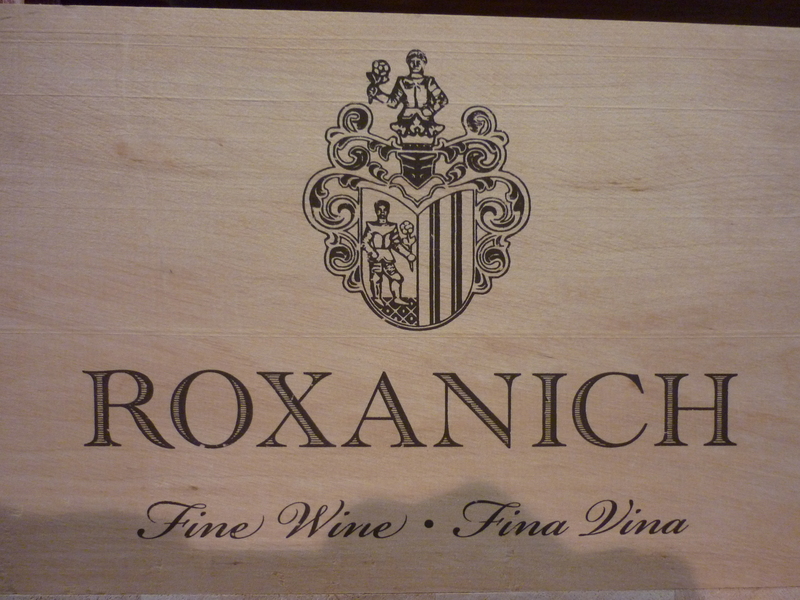 To my delight, one of the many treats inside the DHL box was a bottle that glowed like a neon red raspberry: the 2008 Roxanich Rosé. 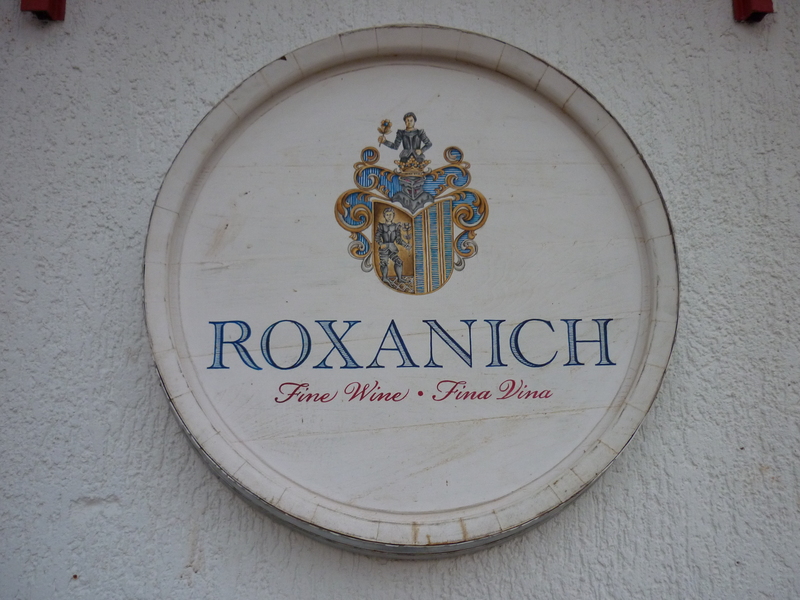 Roxanich is a fairly new producer (first released vintage was 2005) in the western Istria wine-growing hills of the northern Adriatic coast of Croatia. 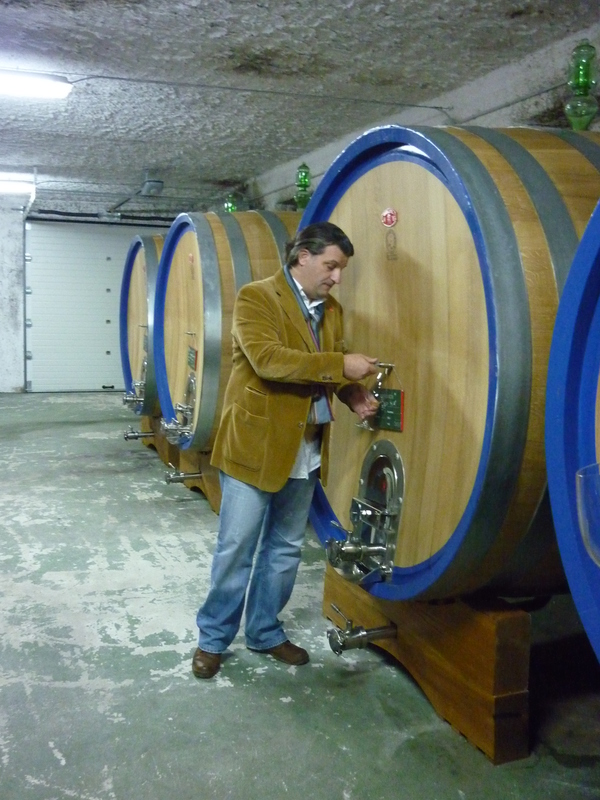 The clever and catchy name is an adaptation of owner/winemaker Mladen Rožanić’s surname. Part of its appeal is that it reminds me of that great old Police song, “Roxanne”. 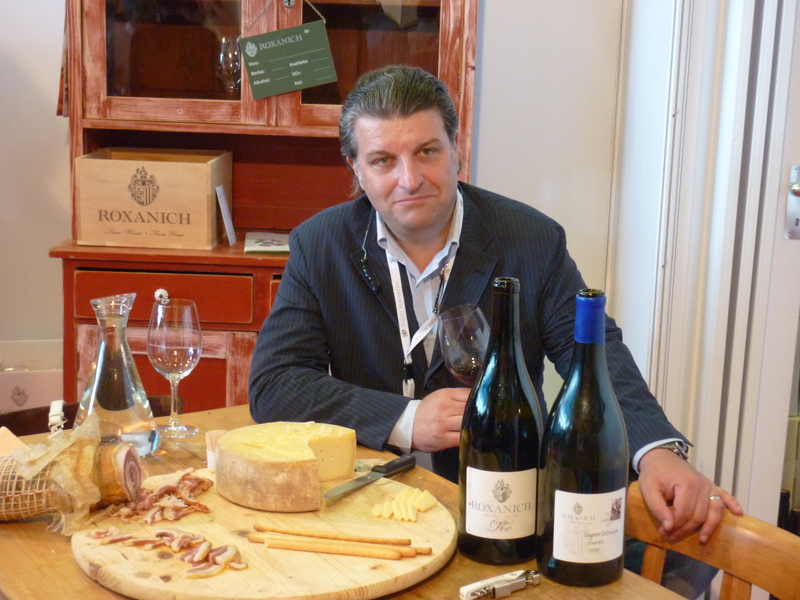 Rožanić founded the winery with 23 hectares of vineyards in 2004. 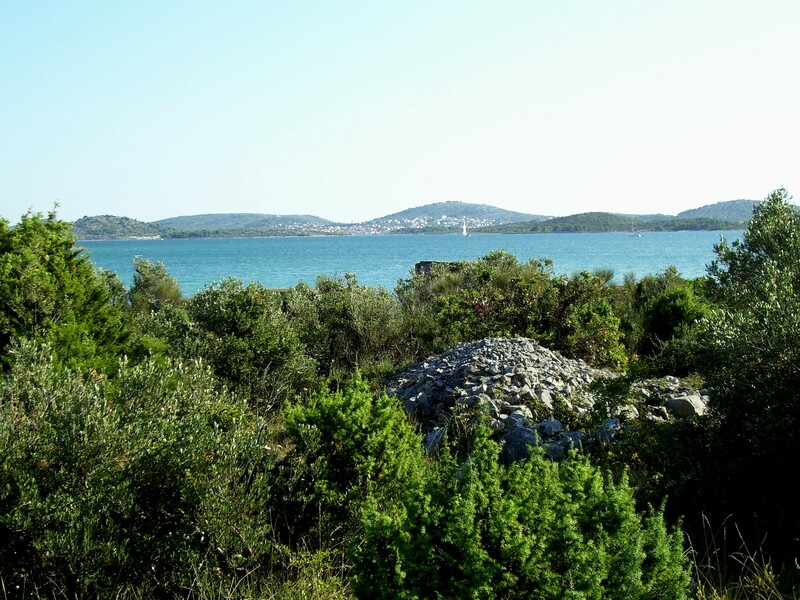 In 2009, the winery produced about 70,000 bottles of wine, including Malvazija, Chardonnay, Teran, Cabernet Sauvignon, Merlot, a red cuvee called “Super Istrian”, which is a blend of Cabernet Sauvignon, Merlot and Gamay, and another red cuvee called “Teran-Re”, a blend of the locally indigenous Teran and its Italian relative, Refosco. 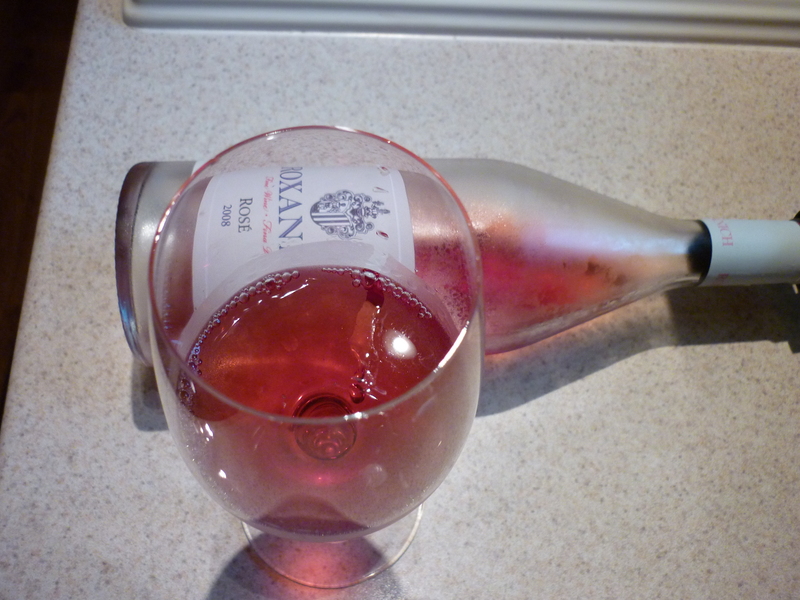 One would guess that a rosé wine made in this region would somehow involve the Teran grape, the primary native red grape of the region that can – in the hands of some producers – deliver a lovely, tart yet refreshing rosé. 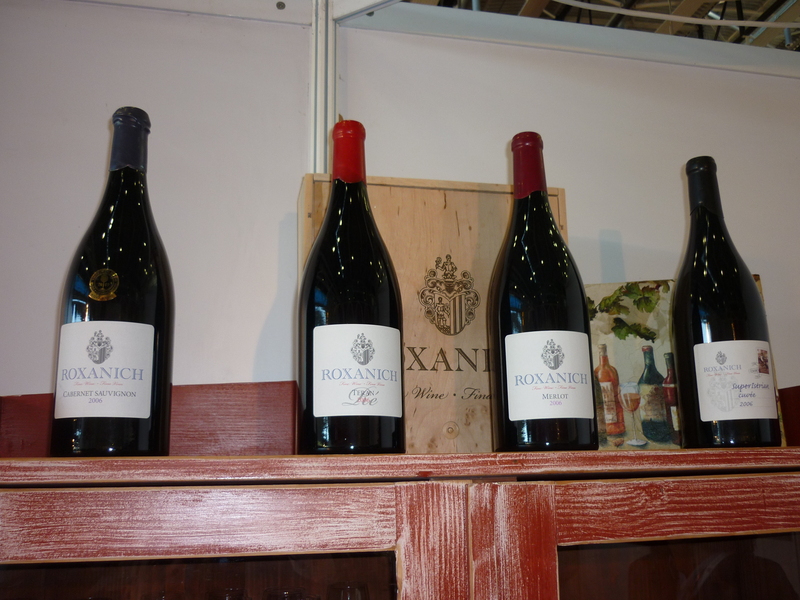 But Mr. Rožanić is an intense and somewhat larger-than-life man, and his wines tend to reflect his often intimidating personality, gruff mannerisms and powerful presence. He is not a man who seems to easily yield to the tired expectations of tradition or the status quo. I was left with the impression that his vision and passion are uncompromising, and that mediocrity (as he sees it) has no place in his cellar. Like the man, a self-described “wine designer” who has a penchant for wearing scarves no matter the time of year, his wines flaunt their individualist styles. On a side note: someone should conduct a study of how much wine styles are a reflection of the personality of the winemaker. Would make for fascinating reading! 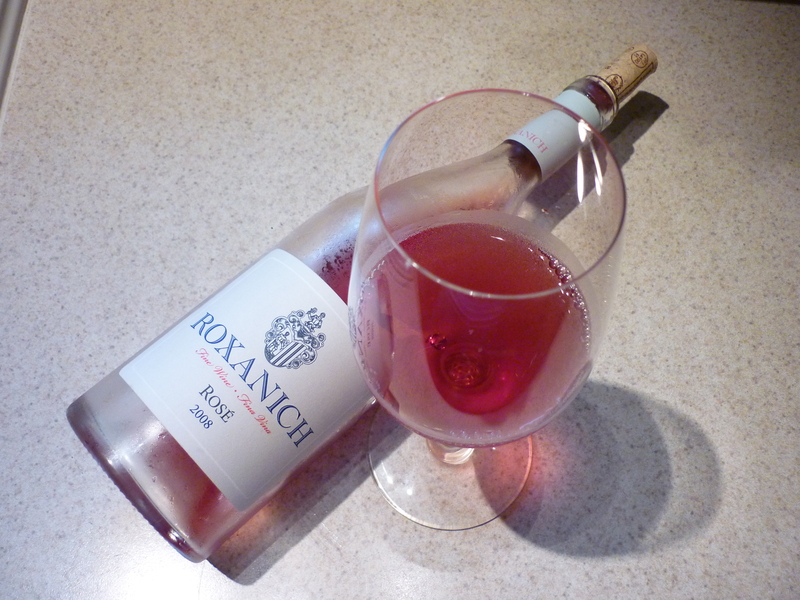 So true to form, Roxanich rosé is not made from Teran but rather from “Borgonja”, the local name for the grape with the Beaujolais pedigree: Gamay. After gentle pressing, the must remains in contact with the skin for just under two hours. 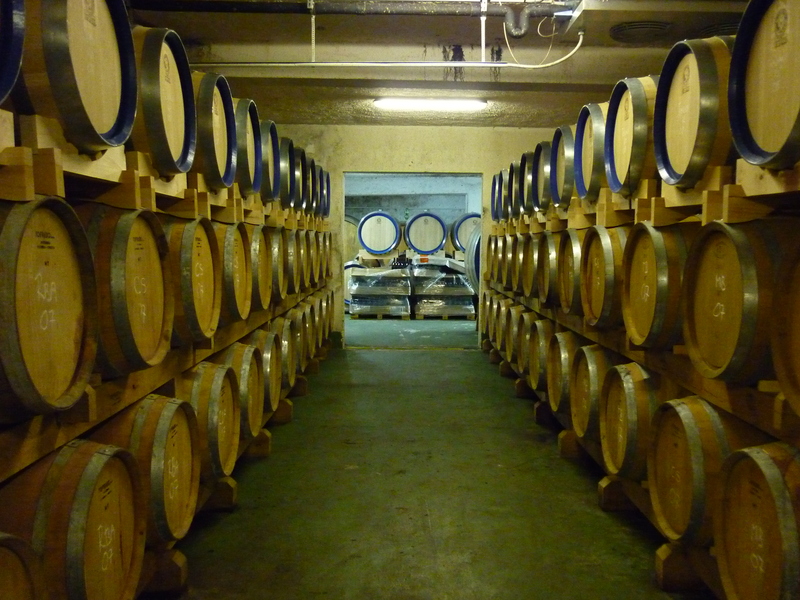 The must is then fermented in large (70 hectoliter) neutral French oak vats using only native yeasts. 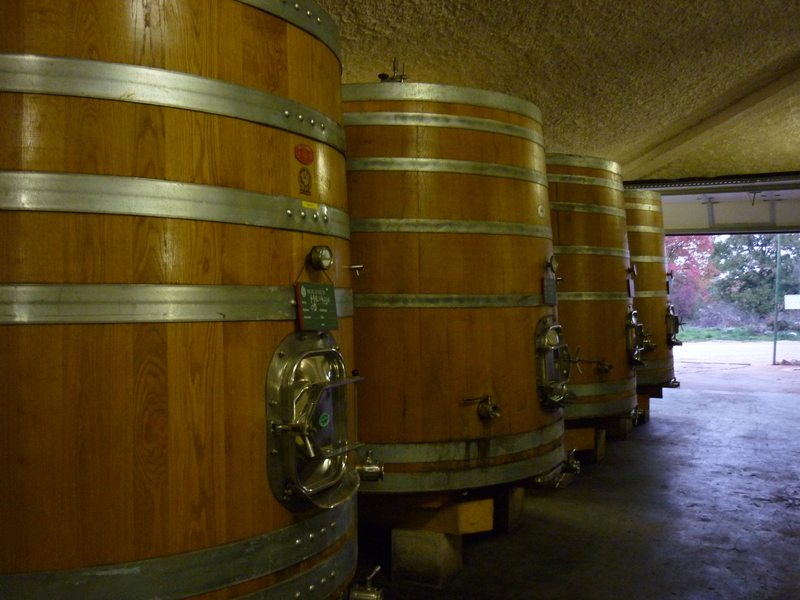 Prior to bottling, the wine spends another 20 months is neutral oak vats. Normally I am wary of rosés that have touched wood, which I instinctually feel muffles the fresh, vibrant fruit character that I’ve come to expect from springtime rosé. Wood adds complexity and meat to a wine that should really just be about simplicity and unfettered refreshment. 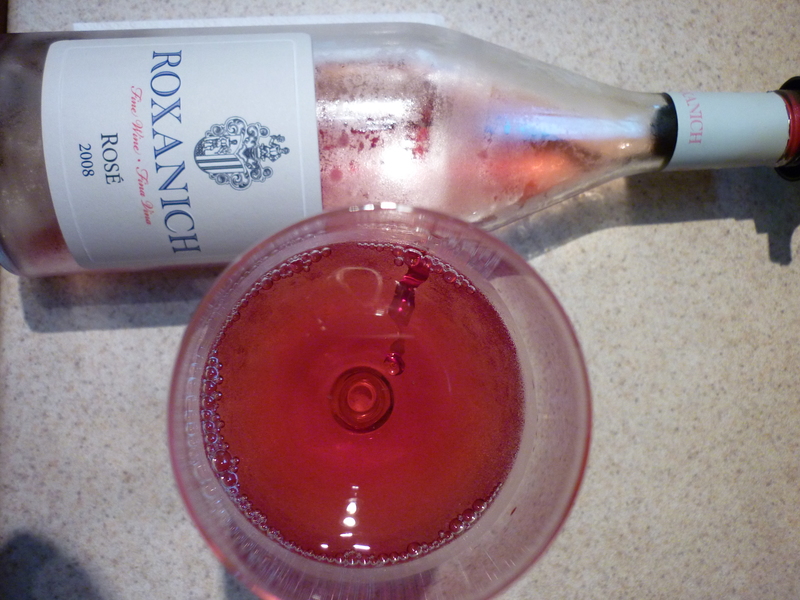 But Rožanić somehow manages to retain much of the ripe strawberry, cherry preserve, and floral character of the Gamay grape and the result is a rosé of some complexity that is still easy and fun to drink. Don’t be fooled: this is not a simple wine. The nose is intense and striking with a haunting earthy note – forest floor, perhaps – which gains some lift from a floral note of something akin to hibiscus. The color is perfect, not too pink and not too dark, with a slight hind of salmon in its strawberry hues. The intense nose led me to expect the wine to be high in alcohol and heavy on the palate. 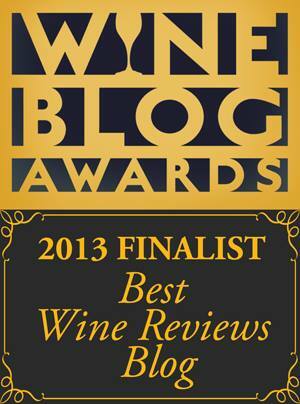 Instead it was lively and with the perfect balance of weight, acidic crispness, and minerality with 13.5% alcohol. The flavors were hard to pinpoint but I detected wild strawberries, rhubarb, raspberry juice and hibiscus tea. Infused and nicely integrated was a subtle earthy note of bramble laced with vanilla suspended on a subtle tannic frame. For whatever reason, this wine evoked memories of a few Tavel rosés I’ve tasted in the past. I drank this wine with a dish that I learned to make from my Dalmatian step-grandmother, Marija. She called it simply, “Fazol” (fah-zholl). It is a stew made from green beans, hot dogs (I wonder if this ingredient makes it a “poor man’s Fazol”), onions paprika, tomato paste, potatoes or small pasta, and off course “Vegeta” (Croatian seasoned salt, a stable of Croatian home cooking). Anyway, the wine was perfect with this dish and transported me back to summers by the Adriatic Sea. 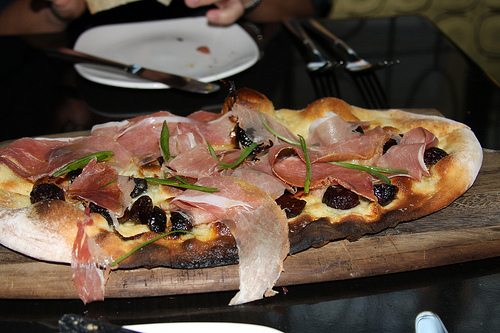 I imagine the wine would also do well with light summer fare like fresh mozzarella, tomato & basil stacks; grilled fresh salmon, mild hard cheeses, ratatouille, and pizza (I’ve been dreaming about Todd English’s fig & prosciutto pizza, but that’s another story). A great wine should delight and inspire. So grab a glass, throw off your scarves and winter clothing, and let the warm kisses of spring meander over your skin and inspire your dreams.